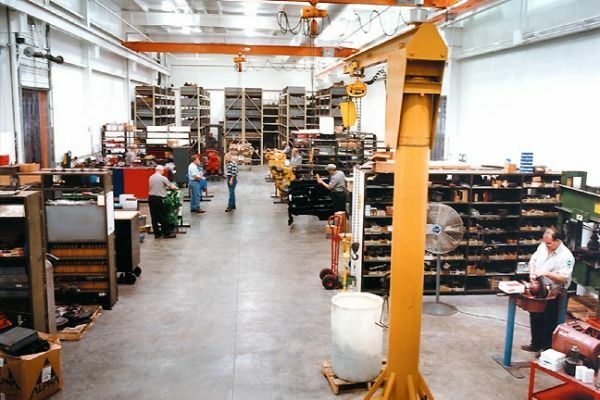 Complete, clean and air conditioned machine shop. 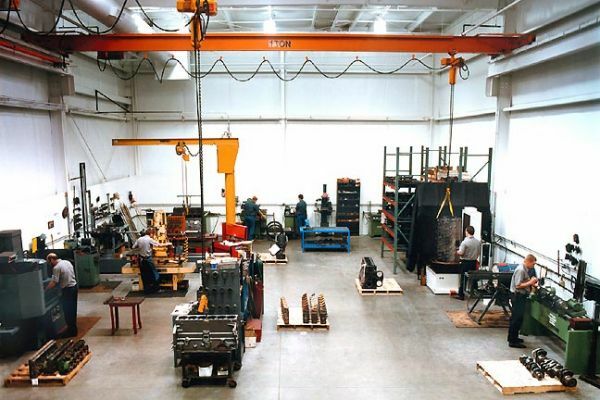 We have many overhead cranes in our clean and air conditioned work areas for engine, transmission and differential assembly. 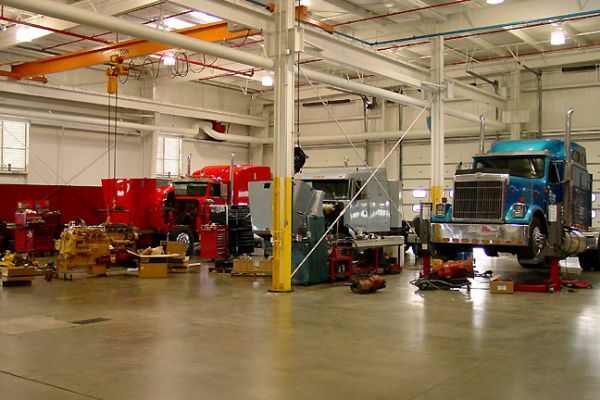 We have 10 service bays for engine in-frame overhauls, transmission and differential exchanges. 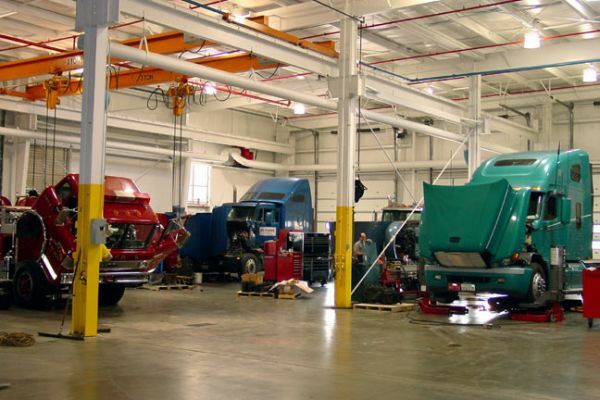 Trucks receiving transmission and remanufactured diesel engines. 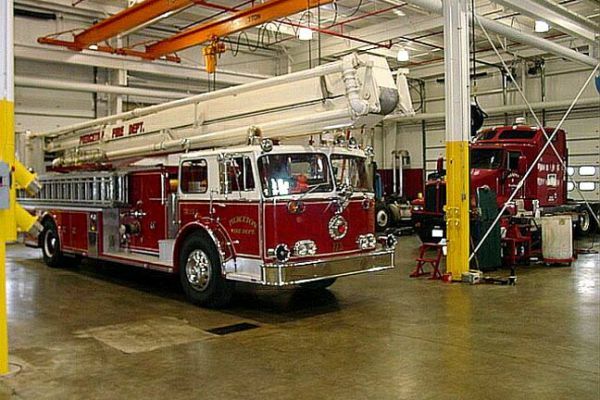 Large bays for fire trucks, industrial and agricultural applications.